For the first 375 years of the Kirkby-in-Furness quarry’s history, it was located in Lancashire until 1974 when it was “moved” to the county of Cumbria. Lancashire blue / grey roofing slates adorn the skyline of major cities and rural areas alike and due to their quality, durability and longevity, offer a lifetime of service to the buildings they cover. This is demonstrated by an ancient pedigree of proven performance that is unrivalled in the harsh UK climate. Burlington’s Lancashire slates have been used on a range of projects where clients and architects have sought a material that is both functional and beautiful, whether it be for cathedrals or cottages, castles or crofts. Burlington’s credentials are endorsed not just by the three “Queens Awards for Export Achievement”, but also by clients both past and present. Nestled in the fells of Kirkby Moor at the North end of the Furness Peninsular is Kirkby slate quarry, which has been producing roofing slate since the early 1600s. At this time, Kirkby in Furness was situated in Lancashire, an arrangement that lasted until 1974 when the County of Cumbria was formed, replacing Cumberland, Westmorland and North Lancashire. The three shires stone on the summit of Wrynose Pass marks the point where these historic English counties met, with Lancashire extending as far North as the village of Ambleside and encompassing Barrow and the Furness peninsular to the West and Grange over Sands to the East. For the first 375 years of the quarry’s history it was located in Lancashire, until 1974 when it was ‘moved’ to the County of Cumbria. The proud association with its original county still exists in its name…. Lancashire Slate... and this slate is still produced from the same quarry and in the same time honoured fashion as it was 400 years ago. Today Burlington Stone continue this tradition and since 1843 have extracted slates from the quarry using highly skilled craftsmen with generations of experience and modern production techniques to produce an exquisite British roofing slate of the highest quality. Historically produced in random lengths and widths to maximise the use of the varied size blocks extracted from the quarry face, Lancashire slate was traditionally laid in diminishing courses with the largest slates at the eaves with gradually smaller slates up to the ridge. This tradition of laying slates in diminishing courses gives a distinctive visual perspective to the roof. Today Lancashire Slate can also be supplied in a sized format (fixed lengths with random widths) which helps to retain a traditional random element to the roof design while speeding up the laying process and keeping the cost of installation down. For a regular, half band pattern to the roof, slates are available with a fixed length and fixed width. 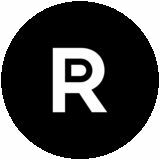 These test results are a key indication of reliability, but more importantly Burlington’s Lancashire slate demonstrates its quality by proven evidence of performance over time. 4. 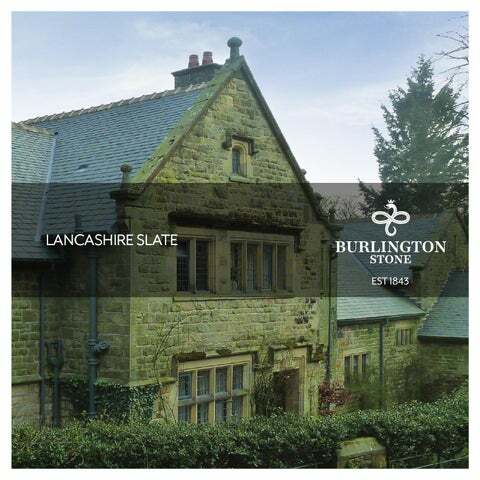 Burlington Slate Limited was established in 1843 and is a family run British business with long traditions and values, where quality control and effective management and use of the natural slate reserves are important corporate goals. 5. The company is certified to ISO 14001 and aims to utilise 100% of the rock extracted from its quarry operations through the extensive recycling of all waste elements, important for BREAM and LEED certification in building construction. 6. No part of a building is more exposed to the destructive forces of nature than the roof and, as such, it is a critical component of the building envelope, both from a technical and aesthetic perspective. Lancashire slate’s are: • Naturally Strong • Naturally Weatherproof • Naturally Beautiful 7. Burlington works closely with the BRE and The National Parks Authority to embrace best practice in environmental management. 8. Lancashire roofing slates conform with new CE Marking legislation, which ensures that every slate must have a Certificate of Origin and up to date technical test data. This provides protection for both the contractor and the customer that the material is fit for purpose.